According to a report by the Associated Press, President Trump is considering appointing an “immigration czar” to be the face of his administration’s immigration policy. Among the potential candidates for the post are former Kansas Secretary of State Kris Kobach and former Virginia Attorney General Ken Cuccinelli. The Justice Department manages the immigration courts that decide whether a migrant is deported; Health and Human Services manages the care of migrant children apprehended at the border; agencies within Homeland Security manage the allocation of legal status, immigration enforcement and asylum requests; and the Pentagon and the Army Corps of Engineers manage facets of border wall construction. The position could be based either within the White House–which would require no Senate confirmation–or within the DSH, which would. 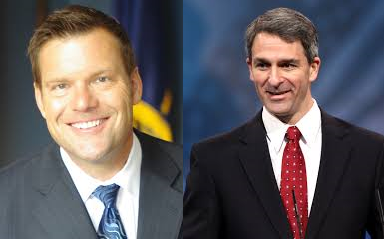 Both Kobach and Cuccinelli have taken strong positions on immigration control and would likely be popular with the Trump base in the Republican Party. Both are opposed by the party’s cheap-labor business wing. Every day the numbers grow. A Catholic relief center in McAllen, Texas, reports that whereas they had been accustomed to handling 200-300 migrants per day, that number has now shot up to 800. The month of March is on target to record 100,000 apprehensions on the southwest border, the most in a decade. As we’ve noted here many times, the demographics of today’s migrants are far different than those of 10 and more years ago. Back then, most were young males. Today, most are family units (or at least individuals designed to appear so; fraud is rampant), consisting of one or more adults and one or more minor children. Such units require special treatment, and it is their requirements that are overloading the system, requiring Border Patrol and ICE to release them back into the U.S.
Customs and Border Protection Commissioner Kevin McAleenan visited El Paso on Wednesday, saying, “The breaking point has arrived.” He reported that, currently, Border Patrol had in excess of 13,400 persons in custody, whereas even 6000 would constitute a crisis. “Thirteen thousand is unprecedented.” On a single day (Monday), more than 4000 migrants were apprehended. The next day, 4100 were apprehended, breaking a one-day record. McAleenan went on to describe in detail the nature of the crisis–the crime, abuse, disease, expense, the Congressional failures and judicial overreach, and the sheer overwhelming number of persons. He pleaded with Congress to address the crisis, to provide much needed resources to deal with the situation, and to amend the laws to help bring the numbers down. If Mexico doesn’t immediately stop ALL illegal immigration coming into the United States through our Southern Border, I will be CLOSING … the Border, or large sections of the Border, next week. As usual, of course, critics rose up in a chorus to condemn the idea, and meanwhile, the crisis continues. You can hear Commissioner McAleenan’s remarks at the USA Today website. Olga Sánchez Cordero, Mexico’s Minister of the Interior, warned on Wednesday that a huge, 20,000-strong, migrant caravan might be forming in Honduras. 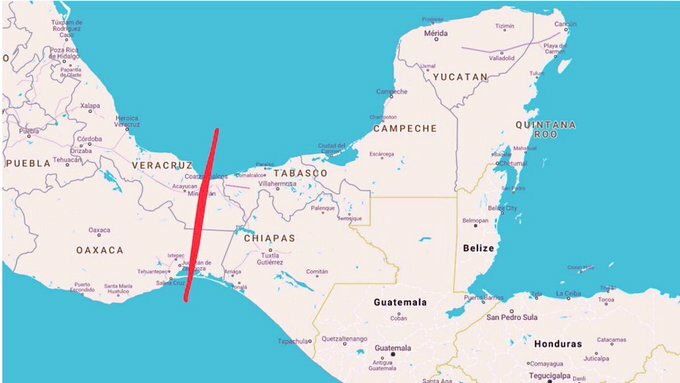 To counter this threat, she said the Mexican federal government is planning to fortify the Isthmus of Tehuantepec, the narrowest part of Mexico. Unwilling to antagonize the U.S. and apparently growing weary itself of the seemingly endless treks of foreigners through their country, the Mexican government has developed plans to set up a “containment belt” across the Tehuantepec isthmus, which is about 124 miles wide at its narrowest point. This string of highway blockades and checkpoints will be manned by federal police and immigration agents, though Sánchez insisted the area would not be militarized. Additionally, Mexico has decided to discontinue the handing out of “humanitarian visas” to migrants, a recent practice that has apparently only exacerbated the problem. 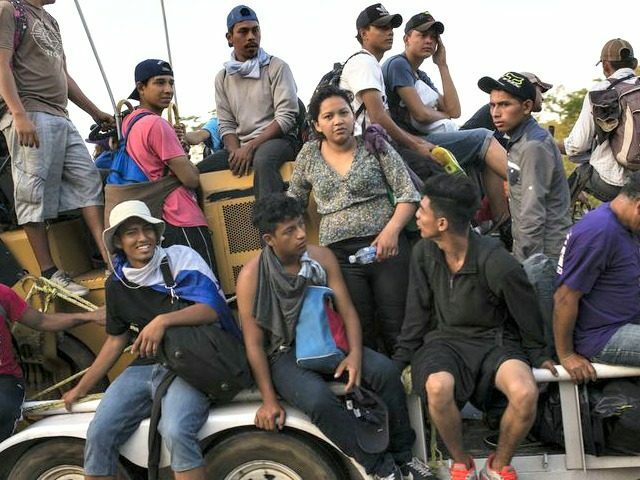 The Department of Homeland Security (DHS)–between March 5 and March 20–released 24,000 border crossers into the U.S. to await asylum and immigration hearings. Most won’t show up for those appointments, and they will add their numbers to the 11 million illegal aliens now residing in the U.S. One reason for the releases is that the recent influx of migrants has overwhelmed the detention facilities to keep apprehended migrants in custody. Congress recently refused to fund additional detention space. Americans not living near our southern border may not be aware that the U.S. Border Patrol maintains highway checkpoints in the interior, often miles north of the border. These checkpoints, comparable to the “secondary coverage” of football team’s defense, operate to intercept illegal motor traffic that has successfully made it past the border. What’s newsworthy about this is that the El Paso port of entry has now been forced to close a number of highway checkpoints due to a lack of Border Patrol manpower. The surge of migrants and “asylum seekers” at the border itself, composed of family-type groups, many of whom are suffering from a variety of illnesses, has pushed the Patrol to the breaking point. In recent days, they have had to close five highway checkpoints, thus giving up their “secondary defense,” in order to redeploy agents to the border. There, all available agents are kept busy arresting and processing the hundreds of migrants who present themselves each day. One day last week agents arrested 400 migrants in the space of five minutes. Closing highway checkpoints would provide free passage not only for illegal aliens but also for illegal drugs coming into our country. The Border Patrol reports that immigration checkpoints nationwide since January 1, had been responsible for the seizure of “more than 6,000 pounds of marijuana, 52 pound of heroin, 456 pounds of cocaine, 1,188 pounds of methamphetamine and 36 pounds of fentanyl. ” And yet closing all the interior checkpoints and redeploying all agents to the border would not likely solve the manpower shortage of the seriously understaffed Border Patrol. As a consequence, the Department of Homeland Security has requested help from the Pentagon, which is expected to provide active-duty troops to assist in processing and caring for the constant stream of migrants headed north. One immigration advocate when interviewed explained that “the United States is a beacon of hope,” and that therefore the influx she and her group encourage will continue. Without major changes legally and logistically, that country will instead eventually become lost in hopelessness.